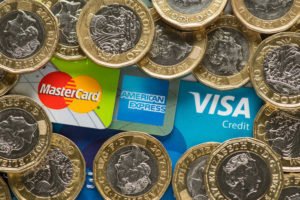 Households’ appetites for credit card borrowing increased in the run-up-to Christmas, a Bank of England survey of lenders shows. There was a significant increase in demand for borrowing on credit cards in the fourth quarter of 2018, the Bank’s Credit Conditions Survey said. There was also an increase in default rates on credit card loans in the fourth quarter. People using their plastic to borrow may find they have shorter interest-free periods to clear their debts before interest charges start to kick in. Lenders reported that the length of interest-free periods for balance transfers and new purchases on credit cards decreased significantly in the fourth quarter. However, demand for credit card borrowing was predicted to fall back during the post-Christmas period. The survey, which the Bank carries out as part of its role to maintain stability, asks banks and building societies about trends in credit conditions in the previous three months and lenders’ expectations in the coming three months. The latest survey was carried out between November 19 and December 7 2018. The report also said that demand for mortgages from home buyers decreased significantly in the fourth quarter of 2018 and was expected to decline further in early 2019. Demand for re-mortgaging increased slightly in the fourth quarter, but was expected to decrease slightly in the coming months. The availability of credit to the corporate sector was expected to remain unchanged in the first quarter of 2019, but demand for loans from firms was expected to decrease.